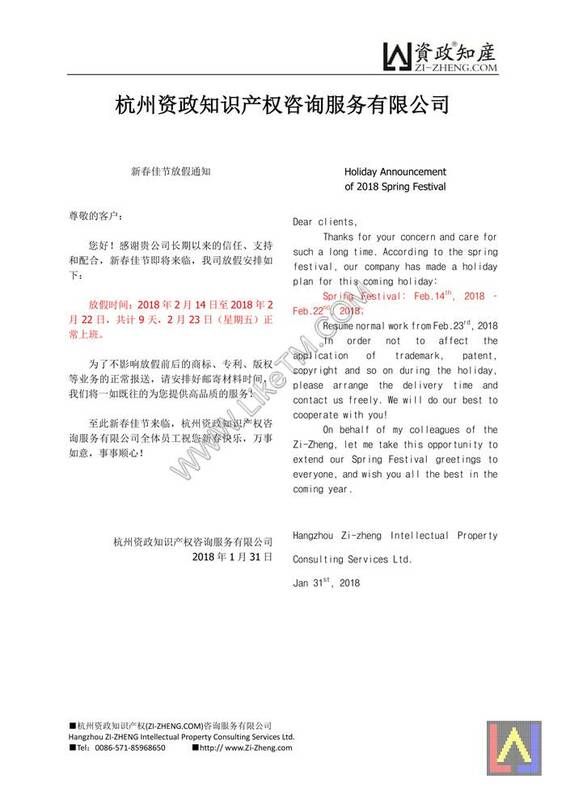 In order not to affect the application of trademark, patent, copyright and so on during the holiday, please arrange the delivery time and contact us freely. We will do our best to cooperate with you! On behalf of my colleagues of the Zi-Zheng, let me take this opportunity to extend our Spring Festival greetings to everyone, and wish you all the best in the coming year. Hangzhou-Zi-zheng-Intellectual Property Consulting Services Ltd.